Alongside Akshay Kumar, Kesari also stars Parineeti Chopra, Vansh Bhardwaj, Mir Sarwar, Jaspreet Singh, Vikram Kochhar and Vivek Saini. Akshay Kumar's Kesari has won over the audience with its patriotic fervour. The film has become another 150-crore film for Akshay Kumar in 25 days of its release. So far, he has delivered hits like Gold, Rustom, Airlift, all movies with a patriotic theme. 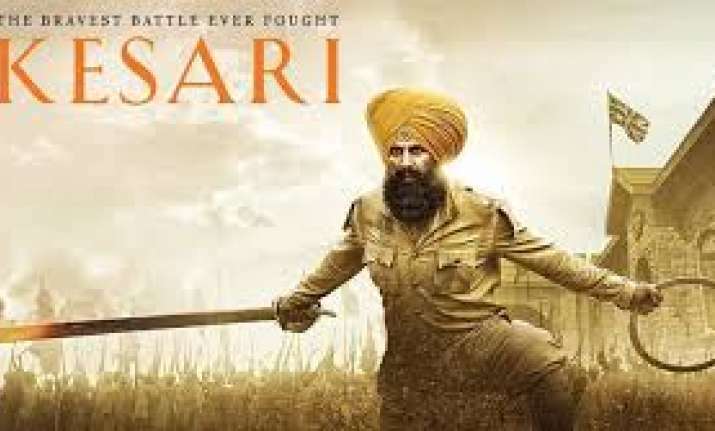 Kesari is based on the Battle of Saragarhi which happened in 1897 in the Indo- Afghan border. He plays the part of Havildar Ishar Singh who led the 36th Sikh regiment against the marauding tribe of 10,000 Orakzai and Afridi soldiers. Parineeti Chopra plays his leading lady.Good performances, action choreography and songs are the highlight. "#Kesari crosses ₹ 150 cr... Witnesses substantial growth on [fourth] Sat and Sun... Will add a few more crores, before #Kalank [on Wed] and #AvengersEndgame arrive... [Week 4] Fri 70 lakhs, Sat 1.30 cr, Sun 1.70 cr. Total: ₹ 150.91 cr. India biz", writes trade analyst Taran Adarsh. "Week 1: ₹ 105.86 cr [8 days] Week 2: ₹ 29.66 cr Week 3: ₹ 11.69 cr Weekend 4: ₹ 3.70 cr Total: ₹ 150.91 cr India biz. HIT. #Kesari benchmarks...Crossed ₹ 50 cr: Day 3 ₹ 75 cr: Day 4 ₹ 100 cr: Day 7 ₹ 150 cr: Day 25 India biz". ‪#Kesari crosses ₹ 150 cr... Witnesses substantial growth on [fourth] Sat and Sun... Will add a few more crores, before #Kalank [on Wed] and #AvengersEndgame arrive... [Week 4] Fri 70 lakhs, Sat 1.30 cr, Sun 1.70 cr. Total: ₹ 150.91 cr. India biz.‬ #Kesari biz at a glance... Week 1: ₹ 105.86 cr [8 days] Week 2: ₹ 29.66 cr Week 3: ₹ 11.69 cr Weekend 4: ₹ 3.70 cr Total: ₹ 150.91 cr India biz. HIT. ‪#Kesari benchmarks...‬ Crossed ₹ 50 cr: Day 3 ₹ 75 cr: Day 4 ₹ 100 cr: Day 7 ₹ 150 cr: Day 25 India biz. Parineeti Chopra recently told IANS, "Even though 'Kesari' is largely based on his (Akshay's) character and the battle, he always used to tell me 'you see how much you will be praised'. I always used to feel he is being generous and kind to me, but it was absolutely true. I am so happy I did this film. It started out as a small guest appearance I was doing for fun but has turned into a project that has taught me so much about the kind of actor I want to be."